It’s important for fitness instructors to continue to motivate participants throughout a Group X class. While members’ motivation will likely ebb and flow during the class, instructors need to know how to pump up the room each time the energy falls. Recently, I started seeing significant effort from my spin class when I asked them to go as fast as they can, holding it for as long as they can within the 30 seconds. Using that Group X motivational cue taught me that people sometimes will underestimate themselves and save energy when they have to keep up an exercise for too long. Instead of going all out, they’ll hold back a bit to make sure they can last through the allotted timeframe. Once I gave them permission to stop early as long as they turned on those burners at the beginning, the effort level skyrocketed. So, I set out to see how I could build on this idea in my other classes. In my strength and conditioning classes, I’m a rhythm instructor, which means I’ll cue the class to start an exercise on the beat and then will typically continue cueing without telling participants exactly how many repetitions we’re doing. So while most of them can typically guess when I’ll ask them to stop, there’s a lot of time in the middle where they’re going through the motions without an end in sight. So, one Group X motivational cue I’ve used recently to help participants boost their effort is to instruct them to do eight more (or another small, specific number) perfectly. When I say that, members’ ears perk up. They seem to refocus on the exercise and really give it an extra effort, knowing that the end is near, and that I want these last few repetitions to be extra good. This is a pretty easy motivational cue to give in Group X classes. As you’re nearing the end to just about any exercise, just ask folks to do the last eight to the best of their ability. Then, you can list a few important cues to keep in mind to help them remember what perfect form looks like. For more ideas on how to fuel the fire for your Group X class, check out the fitness motivation and cueing page. 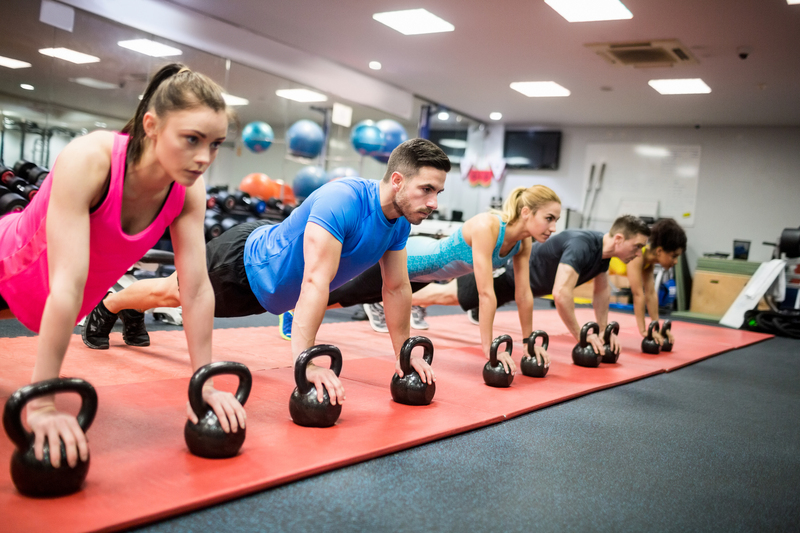 As a fitness instructor, have you ever asked your Group X class to give their all during high-intensity interval training only to watch as they held back in the execution? You tell them to go all out, and while your participants are working really hard, you know they still have a little bit more to give. When we take group fitness classes, most of us have a tendency to hold back. Especially if we’re not sure what’s to come for the rest of the class, we’re hesitant to really give it our all in case we need more energy and effort later on. And, that maximum effort is an uncomfortable feeling that takes a lot of willpower and determination to achieve. Plus, it’s difficult to sustain that max effort for a long period of time. While I know it’s almost impossible for riders to truly work at “maximum” level, we all can recognize when we feel like participants are giving their best in the moment or holding back. So, how do we bring out the very best effort from our participants during sprint interval training in spin class? Recently, I tried a new strategy in cueing sprint intervals in my spin class. We’ve done 30/30 intervals before — 30 seconds of maximum, breathless work and 30 second recovery. But, sometimes we struggle with truly getting breathless by the end of the sprint. This time I tweaked my cues for the intervals. I asked folks to give me their max effort right out of the gate. Go as fast as you can possibly go and hold it for as long as you can (within the 30 seconds). So, if you can’t hold that effort for 30 seconds, that’s okay. Instead, you would dial it down and continue at a “hard” pace until the 30 seconds are up. The response was amazing — wheels were flying and legs were pumping fast! And, I was blown away with how long participants could hold that maximum level of effort. Just about everyone was able to keep with it for the entire 30 seconds of the first sprint. I think part of the reason this was so successful was because it deviated from the status quo. We don’t normally do our intervals like that, so the change was appreciated and embraced. And, since members knew they could slow down whenever they wanted, they allowed themselves to tap into that maximum effort mentality. While I loved the response I received on these intervals, I don’t think I can incorporate them into the spin class routine every week. These intervals are more of a special option to be used when riders need fresh motivation. Otherwise, the cue will lose its impact. Also, be careful with how many intervals you do in one class. If these intervals are going to more challenging than usual for participants, you’ll want to consider doing less, so they can really give their all when called upon. 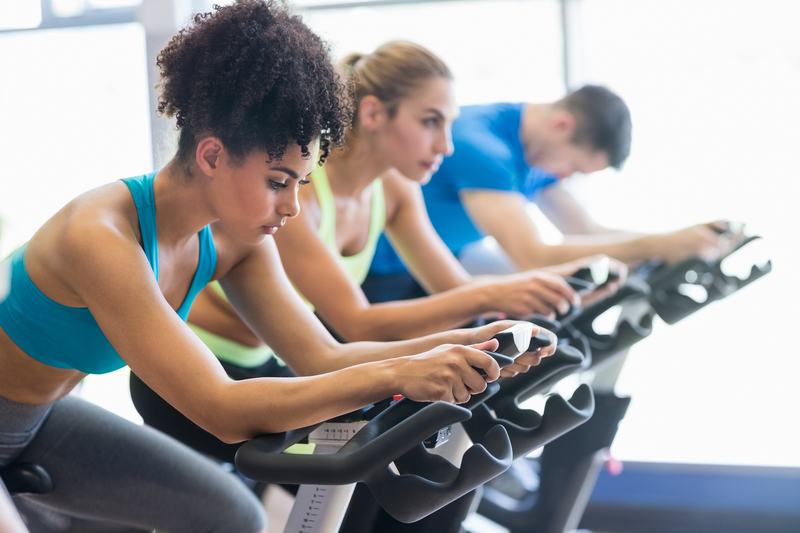 Try incorporating this interval training mentality in your next spin class. Feel free to tweak the instruction to meet your teaching style. For more tips on what to say to a Group X class to encourage great work, check out the fitness motivation and cueing page. As group fitness (or Group X) instructors, we’re always on the lookout for new motivational cues to share with our exercise classes. We all have our go-to phrases to encourage members to work harder, faster, etc. However, there’s nothing quite like the moment when you bring in a new cue that has the room buzzing with inspiration. For me, that’s one of my favorite moments in a fitness class. I stumbled upon a new motivational cue this week that’s stuck with me. To be fair, it’s not a motivational cue in the traditional sense. This isn’t one of those, “work harder,” or, “do more,” types of instruction. However, it still plays a key role in fitness, because it helps participants clear their minds to focus and give their all to the task at hand. The motivational cue? Whatever’s stressing it out, you don’t even need to ID it, just choose to let it go. Shout out to Yoga with Adriene for introducing me to this cue in her, “Yoga for Stress Relief,” YouTube video. You can hear it at 8:00 minutes (embedded below). Now, I’ve heard variations of this phrase before. And, this one hits close to home, because I personally have a wandering mind. There are many classes where I’ve gotten lost in my thoughts and come back ten minutes later to realize I totally forgot I was even taking a Group X class. So, I usually tell my class something like, “clear your mind,” or, “leave everything else at the door”. But, I worry that my cues encourage folks to think about whatever’s bothering them, ultimately making things worse. Instead, help your class let go of what’s clouding their brain without taking the time or energy to focus on the stress itself. While this phrase is a great way to help members destress and enjoy your fitness class, it’s also a nice segue to encourage them to refocus on their workout. When folks aren’t distracted, they’re able to do better. Period. We all know maximum effort takes a person’s full attention and nobody can concentrate on their workout when they’re focusing on residue stress from work, relationships, etc. Of course, this might not work with the style of your class, but if you like it, feel free to play around with the phrase until you find a genuine way to add it to your arsenal of group fitness cues. The goal is to liberate your Group X class — even just for an hour — from the stresses of everyday life. And, at least for me, this phrase does just that. For more Group X cue ideas, check out the fitness motivation and cueing page.